Here are 3 shopfronts we are installing after a fire gutted the rooms. 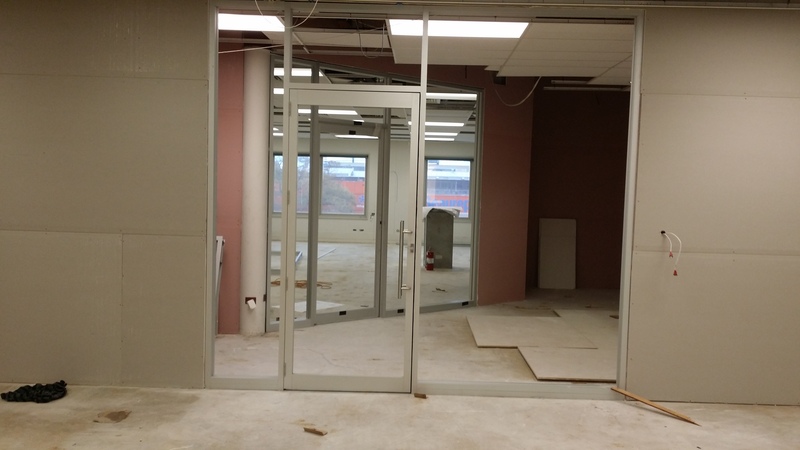 All commercial framing, with pivot doors. It will have blue laminate glass. Doors get installed next and then glass and trims.